In this harrowing and thrilling work of historical fiction, two enemies become the unlikeliest of allies as they fight to save their own lives aboard a hell ship headed into the dangerous unknown.The Civil War is over, though for Jupiter Smith, a former slave and Union soldier, many battles still lie ahead. He returns to the plantation he worked on before the war in search of his woman, but rather finds his old master gone mad, haunting the ruins like a ghost. Out of pity for the now mentally ill Colonel, Jupiter strangles him and heads west to seek a new life in San Francisco. When the Colonel’s son, Confederate soldier Archer Smith, arrives at home and finds his father murdered, he vows revenge upon Jupiter for all he has lost—following his former slave to the far reaches of the continent. But things take a new turn as Archer’s desire for retribution is overwhelmed by his dependency on opium, and he ends up the target of a gang of “crimpers”…the very gang that Jupiter works for in San Francisco. When Jupiter fails in an attempt to save Archer, they both end up shanghaied aboard a ship headed on a dangerous mission and ruled by a merciless captain. 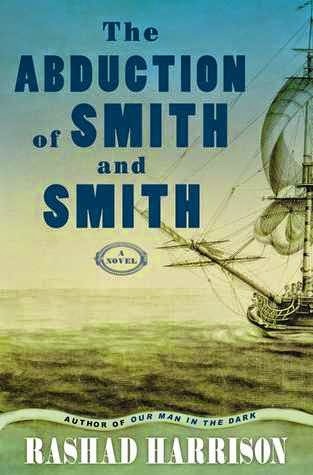 Will the two Smiths work together to stay alive and return home, or will they become victims of the sea, the crew, and their mad captain? For a novel that started out with a uneasy beginning, the author was able to hold my attention as I read the entire book in one day. The setting of the American Civil War's aftermath is a popular one for readers, yet this story brings us to a harsh reality of how the war's effect caused ripples for years to come. Wholly intriguing characters in a unique setting set this novel apart as the author writes with no holds barred. Though it comes off as crude when we are dealing with sailors and ruffians who kidnap innocents to force them to work on ships, and run ins with the mobster like villains who hold the cards of the day, the entire package presented by author Rashad Harrison is a well thought out suspenseful masterpiece of a story. There are many moving parts, from the fractured relationships of slaves and masters, brothers in arms and women who seek restoration after so many hardships which will captivate the reader as things slowly begin to connect to each other. These many twists and turns intermix to create a powerful story as Jupiter Smith, a freed slave, seeks his wife after seven long years. During his search he encounters people from his past and battles the harsh reality of his life after freedom has been granted through the war. Through one of those twists of fate Jupiter finds himself kidnapped along with his former master's son Archer Smith and they are both forced to rely on each other begrudgingly for mere survival's sake during the dangerous voyage. Several characters are featured in the novel which the author creates short chapters around each scene, and there are even a few sketches interspersed throughout. The short chapters make it a quick read but the story itself is a vivid tale that is unforgettable and creative as it brings us to the underbelly of San Francisco to Shanghai and all the way to Liberia. A wonderfully crafted surprise that I would not hesitate to recommend.